The Stroke Association Support Network-Ghana (SASNET-Ghana), an NGO, which focuses on the prevention and care for stroke survivors, has called for the nation to recognize stroke as a medical emergency. This, it indicated, had become necessary to enable more resources to be allocated to deal with the disease. The association in a press statement issued in Koforidua underlined the need to establish functioning stroke centres, planned discharge and after-care facilities. It added that more should be done by way of prevention and care. A special fund should also be set up to support the non-communicable disease survivors. SASNET-Ghana has been working in low income communities to raise awareness, help everybody to have better understanding of the risk factors and to identify the symptoms. 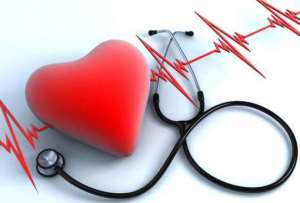 It has also been organizing health screening for hypertension and diabetes. The association announced plans to set up a national stroke fund to aid the treatment, research and sustained national education campaign against the disease. It was eager to establish physiotherapy centres in some communities across the country for stroke patients.